Our motto is to make every single spec at least 10 times better than what is actually required and finding a perfect harmony. It is absolutely worthless to offer a product, shining in one or two aspects, while failing to deliver in other areas. Yes, the human ear is always the final judgment, but not as a cheap excuse for flawed engineering. Founded by Ivo Linnenberg, his collaboration with his distributor Björn Kraayvanger initially focused on the Asian market. 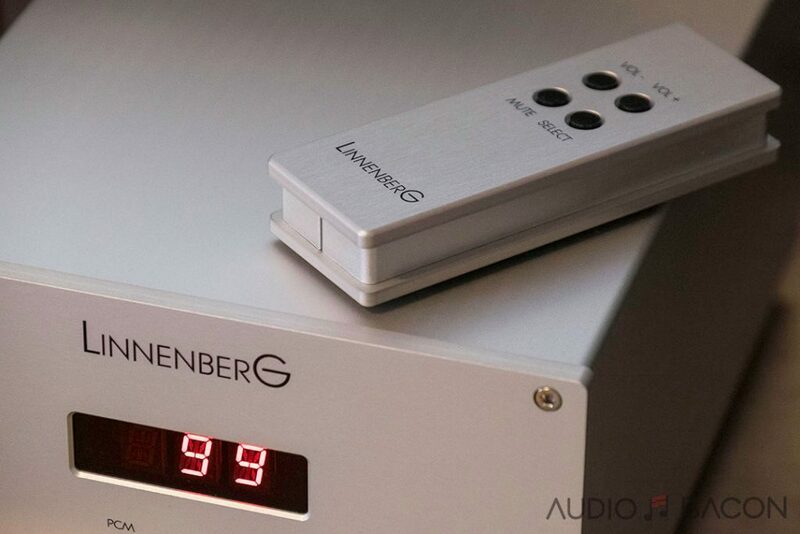 They started with a PowerDAC back in 1994, released their award-winning Vivace DAC, and have released the Linnenberg Maestro SE headphone amplifier a few years ago. 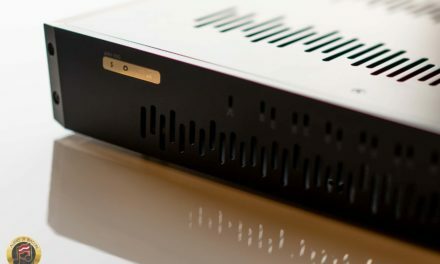 Now their line includes the LISZT monoblock power amplifier and a new DAC. In comparison to his predecessors VIVACE 1 + 2, the TELEMANN has even lower noise, lower distortion, and superior accuracy. 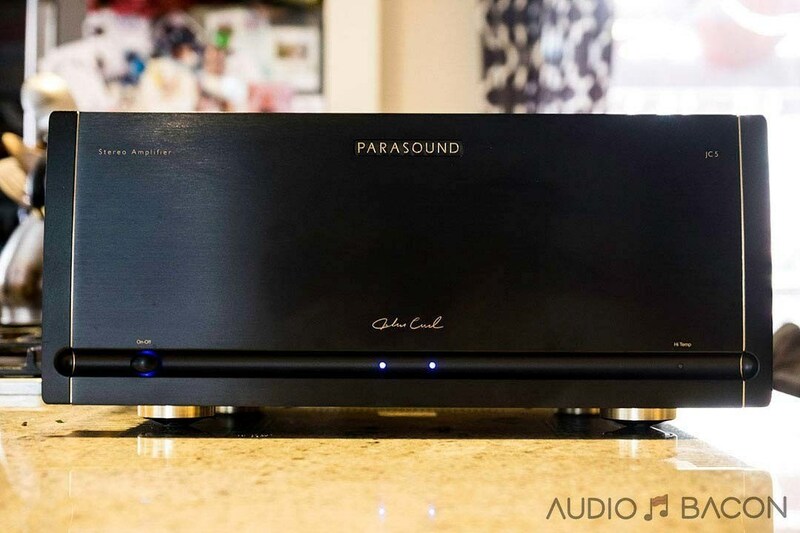 Even with a standard 44.1kHz/16Bit source you will experience a crisp and clean sound never heard before. This is of particular importance because music from the major labels is obtainable in the CD format only. Higher data rates will give you more air and sparkle, while DSD showcases an even livelier and vibrant sound. 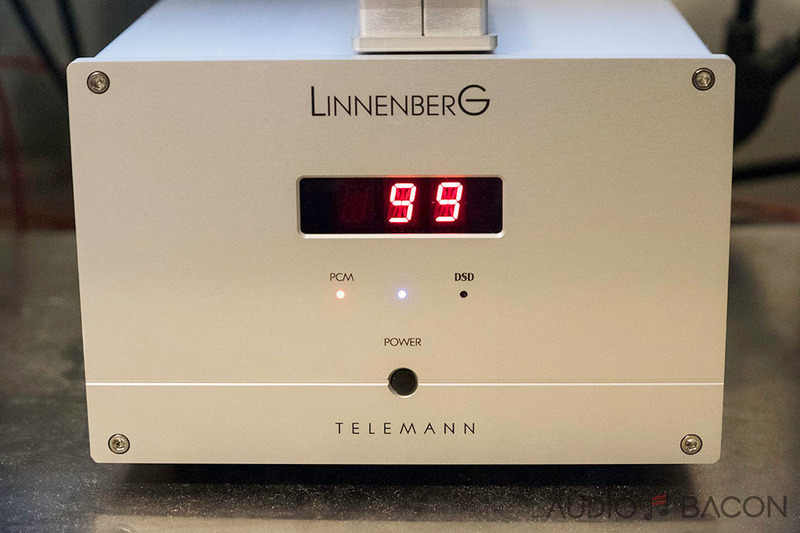 Mark Sossa from Well Pleased Audio, probably the most amicable guy in the industry, was kind enough to send the Telemann in for review. The Telemann benefits heavily from this device from the Zenith SE’s output. Much better outlining, layering, and overall smoothness. The DAC itself only has an on/off switch. The remote is required to use all of the Telemann’s functions and comes with a CR2032 lithium battery (lasts approximately 2 years of normal use). This is quite a weighty remote and the grooves provide a nice comfortable grip. There is no upsampling performed. All signals are natively passed to the chip. Volume is adjusted in the analog domain featuring a relay – resistor network using gold contact relays. Unbalanced outputs could be converted to additional unbalanced inputs (via internal jumpers). This enables you to use the Telemann as a phono preamp. In this mode, the output signal is only symmetric with the XLR outputs. You may use an adapter for an unbalanced power amplifier. Some were wondering if the LED display would introduce noise into the signal. The red 14 segment display operates in noise free DC-modus. No multiplex action resulting in degrading the sound quality of the TELEMANN takes place. Nevertheless, some users prefer to have a dimmed listening ambience where the light from the display could perturb the tranquillity. When first powering up the TELEMANN, the display will be on for 20s before going in to sleep mode. Pressing any of the remote control buttons lights up the display for at least 10s, before going dark again. The status LED indicators for PCM, DSD and power on are always operating. For more details please refer to the manual. Neutral, smooth, and slightly soft. Not very airy. Most accurate timbre. Focused, rustic, nice depth, musical. Slight grain in the mids. Weight, decent imaging, airy, tonally uplifted. Balanced, weighty, softer than DF3, not a lot of texture. The focus isn’t as good as the other modes. Soft, midrange bloom, better focus than DF4 but also thinner sounding. Treble-weighted and not very focused. Good focus, fast, nice focus, sweet mids (slightly hollow), quiet, emotive. It’s more refined and outlined than the DF1. I’ve stuck with DF1 and DF7 for most of my listening. This energetic track will showcase a system’s prowess. The Telemann is able to separate all the busy pieces from the multitude of guitars to the rhythmic thumping of the drums. The cymbals strikes have a naturally perceived woodiness and metallic impact. The sound isn’t crowded or congested and breathes deep into the listening room. There’s a full spectrum sound with an enormous spatial atmosphere. The introduction bass drops in with authority, detail, and plenty of snap. 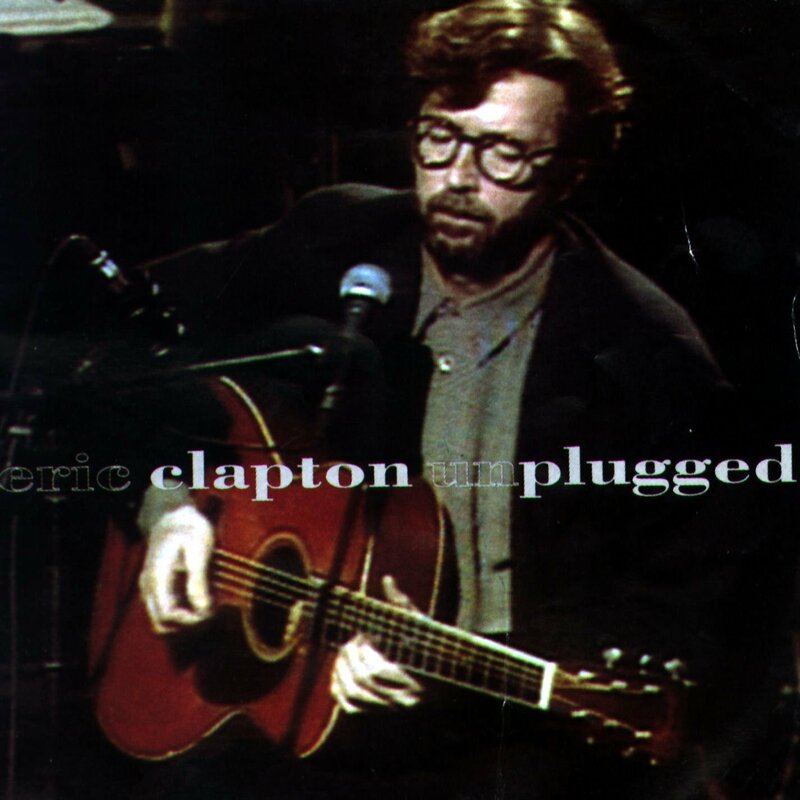 In addition, the acoustic cues off the guitar riffs are nothing short of mesmerizing. The center electric guitar plays more rustically and softer while the accompanying acoustic guitars play with more textural vibrancy. It’s very transparent to the intent of the artists and mix engineers. There’s a nice sense of depth and acoustic independence in this performance. Singers and instruments have their own acoustic space. String plucks vibrations are very well-delineated and are presented in detail. It almost tickles your ears. The spaciousness and articulation of the Telemann cannot be understated. Kick drum thumps are very clean and tight and play undisturbed from the rest of the band. The Telemann digs deep into the recording and unravels micro-dynamics in a musical way. There’s immediately a deep and clear soundstage with a clarity to the central vocals. The percussion shakers have weight and you’re able to literally and hear and visualize the individual beads rolling around.Strings have a nice bloom and play calmly and beautifully beside the vocals. 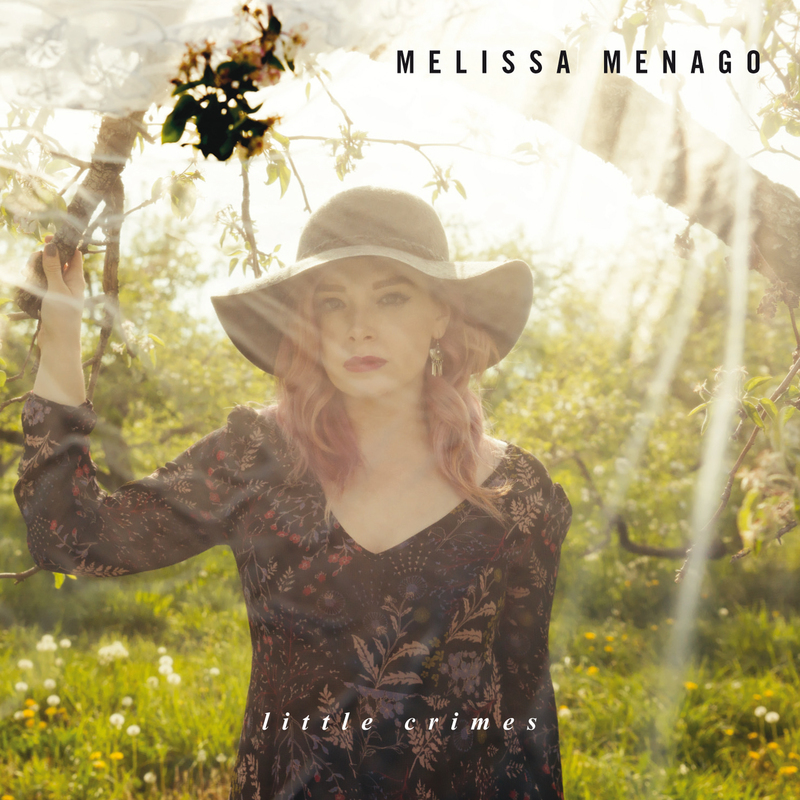 Meango’s voice extends and bends in a very articulate way without ever sounding restrained. At the 2:40 mark, the rain sounds like rain while on other lesser DACs sounds more like static. Drums hits are weighty and tight with a very deep and resolute rumble. 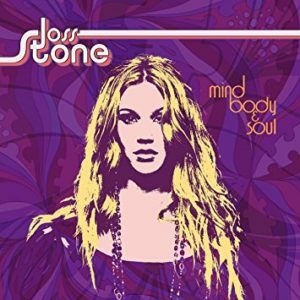 Her voice is deep and luscious while being very well focused within the acoustic space. As the piano comes in, it plays in harmony with the other instruments while displaying its own acoustic resonances. While being tonally neutral (depending on the filter chosen), the Telemann strikes a nice balance between resolution, dynamics, and acoustic energy. There’s a clarity to the audience’s applause and they remain ever present in this performance. The saxophone is organically dynamic while the gentle cymbal brushes are rhymic and palpable. The Telemann is incredibly quiet with incredible layering capabilities. 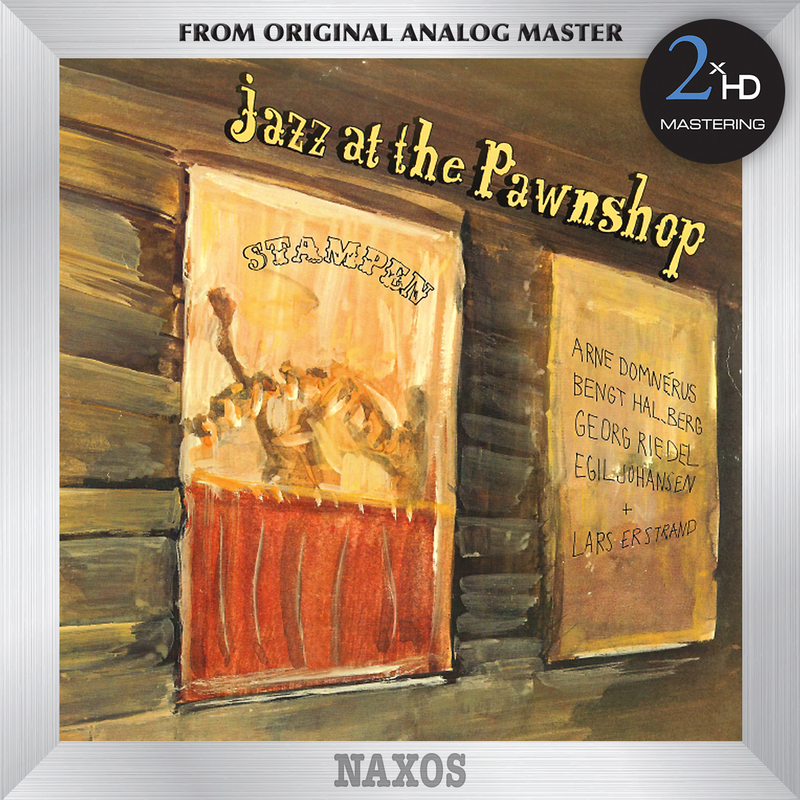 Leading edges on pianos and transients are blazing quick and refined. Rapid drum rolls have a nice tonal variation which gives a humanistic perception of artistry and energy. It is made more apparent the mastery of these guys and just how much fun they’re having. The Telemann has no problem handling the textural speed and cues of this performance. 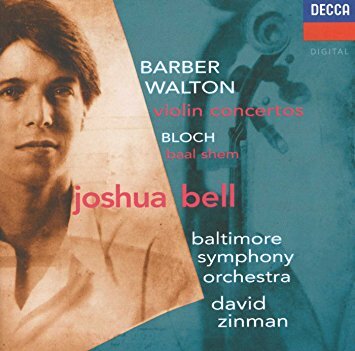 The lines are clearly defined as the bow is drawn rapidly across the violin. The explosive low-end never interrupts the technical centerpiece while being properly isolated. You’re able to hear the musical building blocks of the piece no matter how busy it gets. The top-end is vivid and energetic while the low-end promotes detailed gradations. My Omega CAMs and subwoofer got quite a workout from this track. The Telemann is a very well-engineered product and I have to admit I like the simplistic look and smaller form factor. The inclusion of galvanic isolation and a linear power supply is a huge plus. 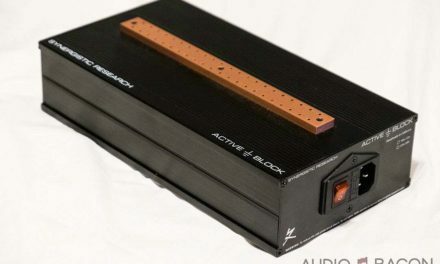 If only some of these higher priced DACs had linear power supplies or the option to use one. 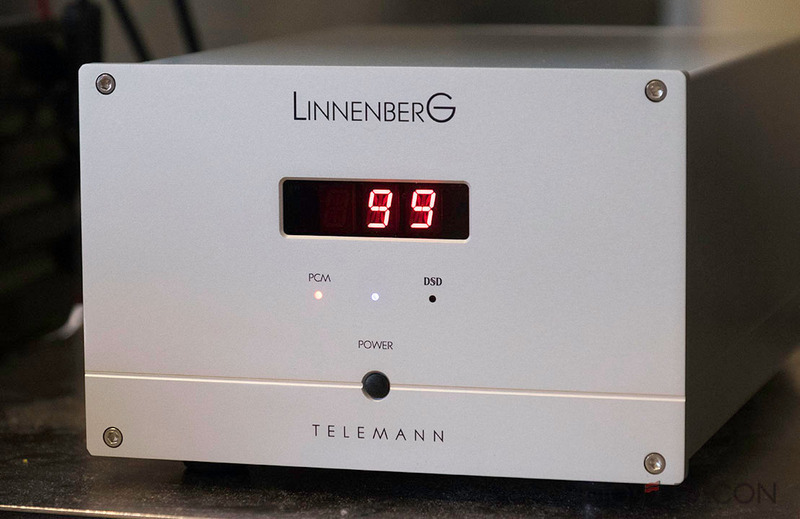 I had a great time listening to the Linnenberg Telemann DAC. Its separation/layering and imaging capabilities are the best I’ve heard from a chip-based DAC. Depending on which digital filter you choose, the tonality of the Telemann could go from neutral and a bit on the brighter side of neutral. It’s smoother and isn’t abrasive or digital sounding like most of the chip DACs I’ve heard in the past. It also has the lowest noise-floor of any of those off-the-shelf DACs. 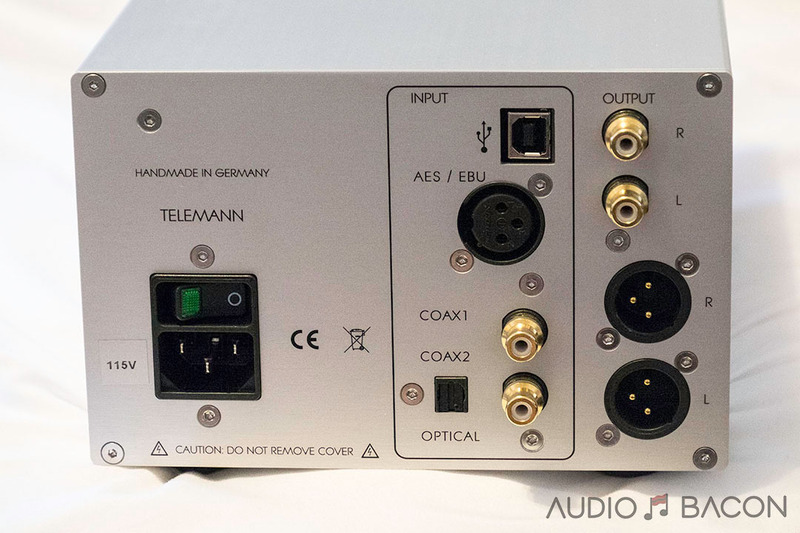 If you’re looking for a warm/lush/sweet/intimate/cozy DAC, the Telemann won’t be a good fit. 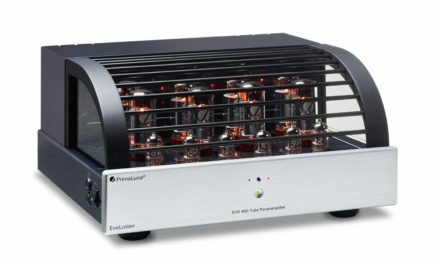 However, it’ll pair beautifully with preamp/amps with tube stages and denser/richer sounding components. Regardless, even with solid state amps, I was able to listen for hours without fatigue. The Telemann’s explosively holographic and dynamic nature is simply addictive. It makes the speakers disappear and fills the entire room with wonderful music. Classical, acoustic, and small ensemble recordings sound particularly good. There are gains with higher resolution files such as DSD which has more finesse, incisiveness, and musical articulation. There are just more details in the bends and twists in the music. That said, there’s plenty of low-end rumble and rhymic delight across all genres. The Telemann never loses its composure when played loud either. I think one of the beauties of this DAC is the seven adjustable filters which allow you to tailor for your system and sensibilities. 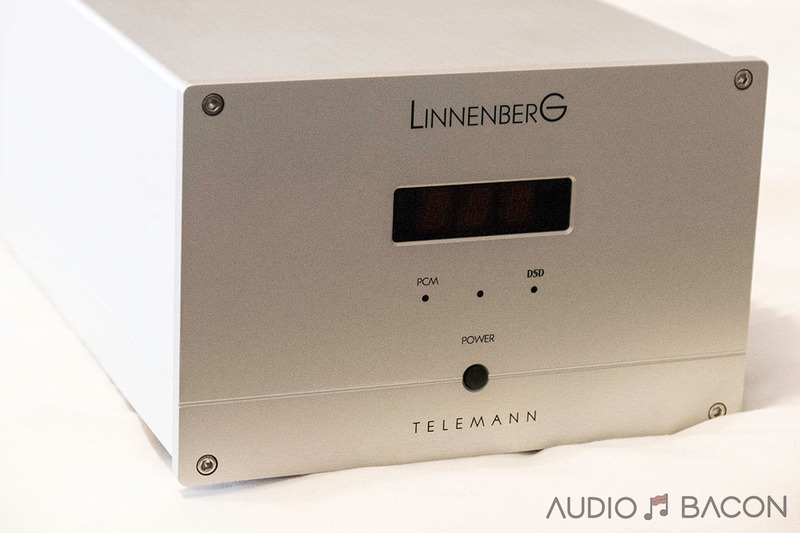 The Linnenberg Telemann is insightful, highly resolving, and snappy. Aural presentations are excitingly clear, airy, and pristinely dynamic. You’ll get a real sense of the acoustic space the recording took place in. Most importantly, musicality doesn’t get lost in the transparency and you’re always kept engaged and entertained. The Linnenberg Telemann comes in silver and black and is priced at $5,400 USD. 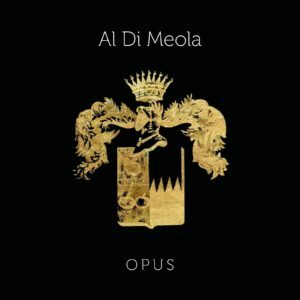 For a listen, please contact Mark Sossa at Well Pleased Audio.